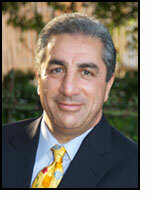 Seth Alavi has been involved in the Semiconductor industry for approx. 30 years. He has held Technical, Sales & Marketing positions in various companies, including Motorola, Sumitomo, AMD, ASAT and Signetics. In 1999, he founded SunSil Inc, a company dedicated to providing TECHNICAL Sales Support for its partners. SunSil Inc, is currently among the most successful Sales & Marketing organizations, representing many world class suppliers around the globe. Over 25 years of senior management experience in high technology environments, including: general management, engineering, quality, procurement and human resources. Professional experience has been dominated by opportunities to grow and develop profitable, well-managed business units providing vision and leadership, while managing the balance between strong customer focus and responsible financial performance. Senior Management experiences have included global responsibility for operations throughout Asia, Europe and North America. Over 13 years of experience in business consulting and executive coaching at the CEO level and below. ​Over the past 7 years Mr. Ditmore has been a member of 4 different corporate boards of Directors, and currently sits on the board of one employee-owned company. Mr. Ditmore’s experience also includes over 30 years experience participating as an active board member on multiple not-for-profit boards of directors. 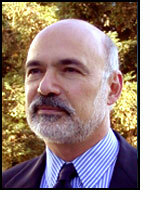 Dana obtained his BS and MS in Mechanical Engineering from University of California, Berkeley. Dr. Di Stefano is President of Centipede Systems, a technology based company dedicated to testing ICs at the highest levels of power, performance and reliability. Prior to Centipede, Tom was the founding President of Tessera, ranked in the top ten hot growth companies by Business Week 2005. He is also a co-founder of Chip Scale Review, a leading magazine in microelectronics technology. ​Tom is an industry veteran with 19 years of experience at IBM Watson Laboratories. At IBM, he was a member of the IBM Academy of Technology. Tom Earned a PhD at Stanford University, and is an author on more than 200 US Patents and 180 publications on electronics technology. Vivek Dutta has more than 36 years of experience in the USA, Japan, India and Brazil, working in Microelectronics, Display and Metallurgical Industries. 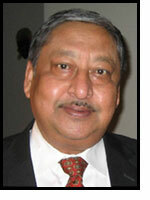 His experience and contribution has been recognized in both technology and business development sectors. Hamid Farzaneh is a change catalyst who specializes in taking early stage companies through their first $0 to $100M revenue phase. He is currently CEO of InteliSense, a company that develops innovative “Internet of Things” products for home automation. He is also chairman of Sensoplex, a Redwood City, Silicon Valley, company that develops and supplies high performance wireless "sensing" platforms, modules and finished products to OEM customers for clinical trials, wellness and robotics applications. Before Sensoplex, Hamid was the CEO of innovative high tech companies including Optilux, Varioptic, and DisplayLink that he transformed in less than 3 years from a small R&D startup into the dominant global supplier of display networking chips. Prior to that he held senior executive positions with leading technology companies including Silicon Optix, a fabless digital video and imaging IC start up, Motion Sense, a MEMS controller startup that enabled gesture-based user interfaces for games and handheld devices, and Genesis Microchip, that lead the explosive growth of digital displays IC controllers. His extensive professional experience also includes management position with various Fortune companies and start-ups including National Semiconductor, Qualys, ASAT and Renault. Dr. Karnezos has served in the electronics industry for over 27 years in numerous executive positions responsible for the development of new technology products. Most recently as Special Technology Advisor at STATSChippac developed industry leadership in 3D packaging technology, as the CTO at the former ChipPAC elevated the company from a start-up to an industry leading technology products supplier. As VP of Technology at ASAT and Signetics introduced both into the BGA business and built their product development capabilities. At Hewlett Packard Labs developed x-ray lithography and award winning soft radiation window technology. 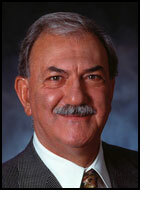 Dr. Karnezos a prolific innovator with many patents is the inventor of some world renowned products including PiP and TBGA very popular in the packaging industry and he is the recipient of two IR 100 awards for two of his inventions. 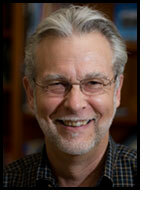 He received his BS from University of Athens, Greece and his Ph.D in Physics from Carnegie Mellon University in 1976. 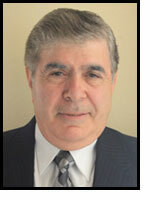 Cemal Mehmet has over 27 years of management experience in semiconductor industry. He began his career in UK in the areas of QA/ Reliability at Graviner and Marconi working on commercial and military projects before moving to Silicon Valley in 1982. Cemal’s experiences include managing Operations, Manufacturing, QA and Reliability at various companies including Pulsecore Semiconductor Corporation, Alliance Semiconductor and International Microcircuits Inc.
Dr. Makoto (Mak) Shinohara is a principal of Shinohara & Associates, a consulting set up, since May, 2000, and assists various client companies with materials, processes and equipments for backend assembly of semiconductor devices. 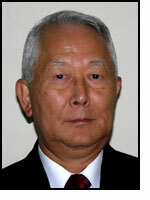 He is also a board member of SunSil Inc., Technical Sales Company, which provides a total semiconductor manufacturing solution to semiconductor industry with advanced and reliable products, equipments and services from leading companies such as Achilles (wafer pod), APIC Yamada (backend assembly equipments), Nippon MicroMetal (solder balls and gold wire), Nippon Steel (wafer micro-bumping and pad conditioner for CMP process), Shibuya (ball placement equipment), Shinon (plastic trays), and others. He was first exposed to the packaging of semiconductor devices with silicone molding compounds in 1971 in Dow Corning. He joined Polyset Group of Morton Chemical in 1978, and led the research and development of epoxy molding compounds for encapsulation of semiconductor devices. After Polyset Group was sold to Plaskon and Rohm & Haas, he joined Ciba-Geigy (Ciba Specialty Chemicals) in 1987 to direct Technical Department in Los Angeles, CA and later headed Active Device Packaging Project in North America while functioning as Technical Director of worldwide Active Device Packaging Project and interfacing with Shin-Etsu Chemical Co. 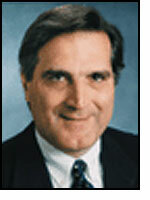 He retired from Ciba Specialty Chemicals at the end of 1999. Graduated with B. Sc. and M. Sc. in Chemistry (Synthetic Organic and Polymer Chemistry) from Tokyo Institute of Technology and was then awarded with Ph.D. degrees in Physical Chemistry at Polymer Research Center of State University of New York as well as Syracuse University in 1969. 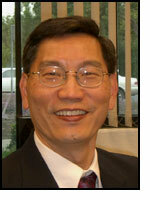 He has published numerous publications and been granted patents for packaging of semiconductor devices and others. Sam T. Wang is the VP Research of Gartner Inc. an information technology company that provides advice to investment bankers and vendors. Sam conducts analysis on various investment opportunities related to semiconductor business, process technology, market trend, fab equipment and capex. Sam has been the president of SMIC Americas from 2001 to June 2010, the US marketing office of Semiconductor Manufacturing International Corporation. SMIC is the wafer foundry company at China providing wafer fabrication services using advanced logic processes. ​From 1995 to 2000, Sam was the Vice President of Operation of 8x8 Inc, a fables design company specializing in SOC multimedia chips. From 1984 to 1995, Sam was the cofounder and Executive Vice President of ICT Inc., developing and marketing nonvolatile memories and Programmable Logic Devices (PLD). Before 1984 , Sam was employed by Hughes Aircraft, Intel and National Semiconductor on various EPROM and DRAM projects. Ph.D. in Electronic Material Department from Princeton University of New Jersey, and BS Physics from Tsing Hua University of Taiwan, Sam has been the executive and Board Director of ICT, 8x8 Inc., 2netFX and AAMA.